We think it’s the right time for us to tell you, we love you. You never cease to amaze us with your innovative, original, and absolute euphoria-inducing tunes. Every show is like a roller-coaster ride, building up the anticipation of the climb, until it turns into the thrill of the fall. We’re not ashamed of telling the world that we love you. In fact, you’ve stolen our hearts. Jake, Joel, Ryan, Andy, Brendan, Kris, and Waful, thanks for rocking our world, time and time again. Our faces will forever be melted. 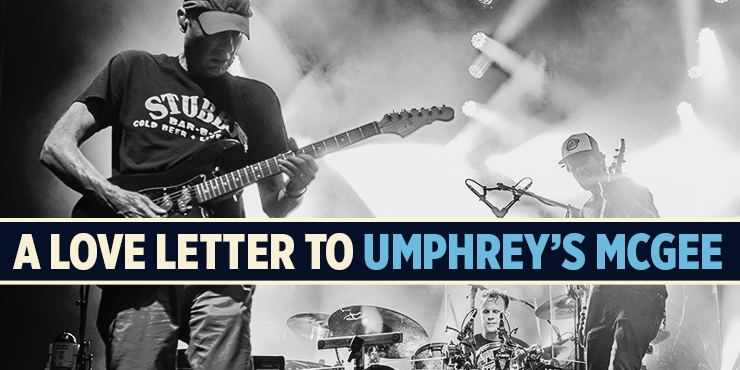 There’s no way to describe the absolute greatness that is Umphrey’s, it’s something you have to witness yourself. See them at LOCKN’ next year! Get your tickets NOW!